Bethany Gomez, Director of Research, Brightfield GroupAs more market research firms specialize in the cannabis industry, it can be challenging to figure out the differences between the products and methodologies of each. To pull back the curtain and find out more about what separates Brightfield Group from the pack, we sat down with Bethany Gomez, the company’s Director of Research. At Brightfield Group, we use a multisource methodology to give our analysts and our clients a holistic view of what’s happening in the cannabis industry now, where it’s going and why. The marijuana industry is a nascent and complicated market. This means there is not one magical data source that can provide a comprehensive view. Instead, we understand that there is a lot of information out there that can be gathered and insights to glean from many different sources. We seek out every piece we can find and are constantly adding new tools to our arsenal. Our economists build consumption models leveraging national survey data on cannabis use. We analyze taxation data and patient counts. We conduct menu audits on thousands of dispensaries nationwide, leveraging big data and our proprietary algorithms to analyze distribution patterns and regional preferences. We survey consumers to figure out more about their consumption and purchasing behaviors. We interview dispensary owners and manufacturers across the country to hear about what is happening on the ground and see the industry from their side. We produce consistent data points on each state and metro area, allowing us (and our clients) to directly compare overall sales and sales per capita, per patient, per dispensary across different states and metro areas. We use these different data sources to triangulate our numbers and arrive at the most comprehensive data and deepest market and consumer insights possible for this emerging industry. So how does this differ from some of the other research firms out there? 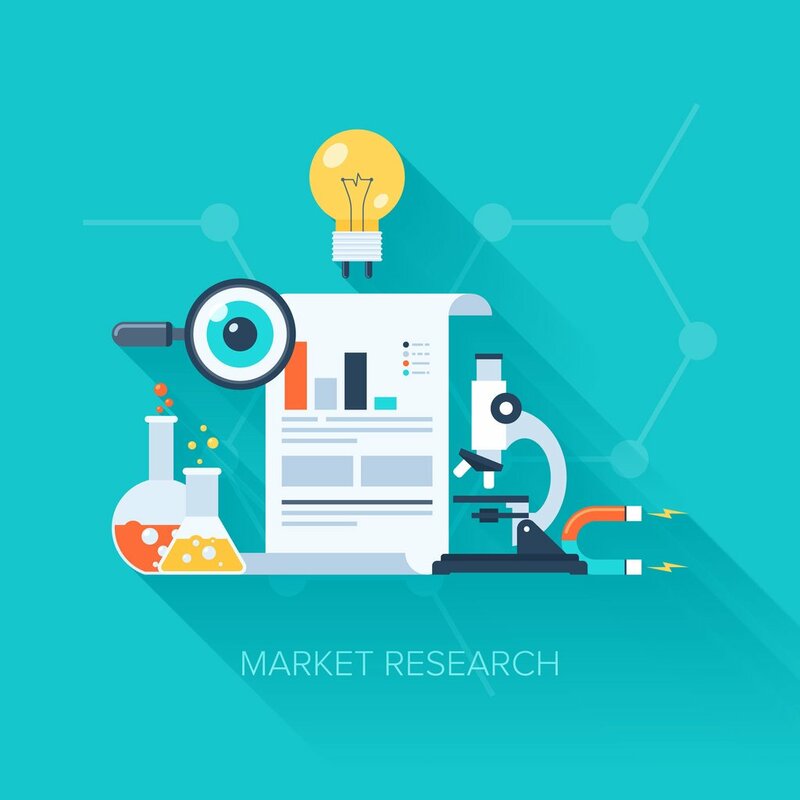 Most of the other cannabis market research firms use one type of methodology. Commonly, firms either use Point of Sale data from Colorado or Washington, they build consumption models leveraging national survey data or they conduct proprietary surveys of dispensaries or consumers. All of these methods are valid ways to gather information and have a place in providing very high level or very tactical views of the market. Brightfield Group is a strategic market research firm and our multisource methodology gives us the ability to provide a deep, comprehensive view of the market at many levels. Our products allow clients to start at an eagle’s eye view of the market and zero in, providing deep insights at every level along the way. Who might benefit from these types of reports & how might they use them? For potential investors new to the cannabis industry or looking into national expansion, we have national level market sizes and forecasts, state level market sizes, forecasts, brand shares, patient counts and distribution information. Our reports allow potential investors to quickly get up to speed on the nuances of each state, including regulatory environment, competitive environment, supply chain and market drivers. Up to speed at the state level but ready to dive deeper or expand within a state? We have metro level data for the ten largest cannabis metro areas in the US, including the same market data points and analytical reports as we have at the state level. Want to see who the strongest companies are and what they are doing well? Our upcoming company profiles will allow you to see more about the product portfolios, positioning, distribution and consumer satisfaction ratings and brand tracker identifies movements in competitive environment from month to month at subcategory levels (looking at not only edibles but baked goods, chocolates or beverages). Trying to build a marketing strategy? Our consumer profiles will allow a deeper understanding of the demographics, psychographics and purchasing patterns of different types of cannabis consumers. We leverage econometric models, big data and survey results but at the end of the day our products are compiled by analysts - human beings who can understand and analyze not only what is happening, but why it is happening and how this will impact businesses now and in the future. Our clients get access not only to our data and reports but also to our team of analysts, who can answer questions about the data and analysis. For those with more specific needs, we can leverage our existing data and analyst insights in custom projects targeting more granular aspects of the industry. You mentioned some new products in the pipelines – what is available now and when will the new products be available? Currently, we have an online portal where clients can purchase a subscription and be able to access all of our data on market sizing and forecasts, brand shares, distribution and demand factors as well as view and download our reports on the largest states and metro areas in the cannabis industry. These reports are also available for purchase individually on our site as well. At the beginning of September, we will be launching our new portfolio of products, which includes company profiles analyzing ten of the top manufacturers in California and consumer profiles identifying key cannabis consumer segments -their purchasing patterns, preferences and how to reach them. At this time we will also begin publishing data from our brand tracker, which allows companies to track how brands are playing at the subcategory level on a monthly basis. These new products will initially focus on California, with expansion to other key cannabis states coming soon. Why California? Aren’t most companies focused on Colorado?There is already so much information out there on Colorado and Washington and those markets, while still expanding and offering some opportunities for manufacturers or for retail consolidation, are poised for much more limited growth in coming years. California, on the other hand, is a bit of a black box to many in the industry – there is very little information available on California and the lack of state level reporting or chains of retail locations make it a tough nut to crack. However, with the passage of a coherent regulatory framework for the state’s medical marijuana industry last Fall and the passage of recreational marijuana looking promising for 2016, California offers far and away the most opportunities for investments in the market or expansion for existing players. Investments will, however, require significant capital and a nuanced understanding of the industry to be successful. This nuanced understanding is what we are looking to provide for our clients. So what don’t you do?At present, our products are focused on the consumer, retail and manufacturing side of the industry, so we are not covering the cultivation side in much depth. We are not consultants that will help you get a dispensary license or set up your grow house. Our products are not currently focused on the hemp industry, the pharmaceutical side of the industry or CBD product sold outside of the scope of state licensed medical or recreational marijuana dispensaries, though we can certainly cover these in custom projects tailored to specific client needs. Our existing products are focused on the United States, but we can also look into international markets for custom projects.